Whether you are a scratch golfer who takes the game seriously or a golfer that simply enjoys the sport, the Christian Golfers' Association (CGA) invites you to become a member. 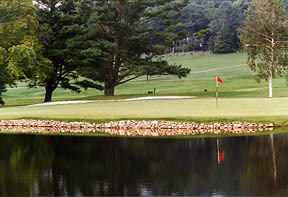 Regardless of your handicap or score you will have fun and enjoy the fellowship of playing golf with fellow Christians. CGA is strictly a "FAITH" based ministry and does not charge dues or fees to become a member. The ministry is supported by those who are lead by the Lord to donate to keep the ministry going. Be an "ACTIVE PARTNER" in sharing the message of Jesus Christ around the world. Donate Today and Change a Life!" Just CLICK the "DONATE" button below. Donations are made through the PAY PAL secure network. As little as a cup of coffee a day, and someone, somewhere, will hear the message! Due to serious illness in our family member, we are running very late in responding to membership requests. Please forgive us for the delays; we hope to get back to work and on a schedule soon. Thanks for all the prayers. God bless. We recently held an INTERNATIONAL BIBLE STUDY from CGA headquarters in the U.S. via Skype. Members and Chapters can now join us in a "face-to-face" Bible study. Call or email for information. MASONBORO COUNTRY CLUB in Wilmington, NC is now offering discounts to CGA members. You MUST have your CGA Membership Card for ID. LINKS AT LAKEWOOD in Sumter, SC offering discounts to CGA members. Must have CGA Membership Card for ID. Will update this section soon. Tell your church members about the great outreach opportunities through the CHRISTIAN GOLFERS' ASSSOCIATION (CGA).